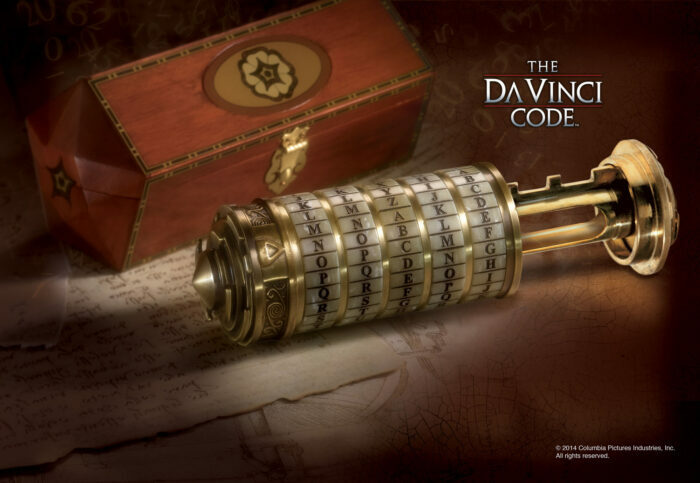 A detailed working model of the Cryptex as featured in The Da Vinci Code. It opens with the password from the movie, unless you wish to change it to your own secret code. 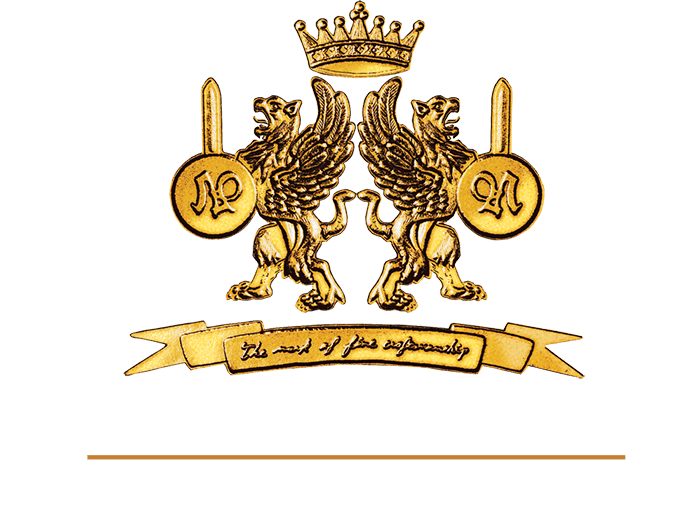 Store your notes, poems, jewellery, keys or other valuables. 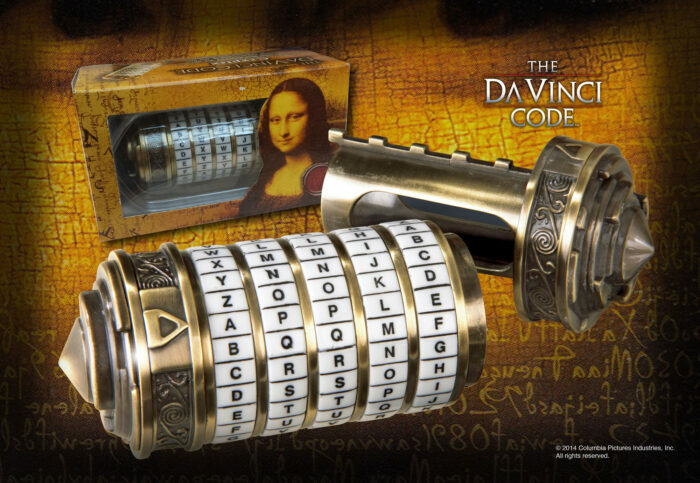 The uses of this Cryptex are limited only by your imagination, perfect for sending someone the most special gift. Die-cast with an aged finish. Hidden compartment measures 5 x 1″, with an overall length of 6″ and comes with wooden box.